We can’t read every book every written, or even every great book ever written. But we can still take pleasure in the beauty of at least some of the words and ideas contained within them. 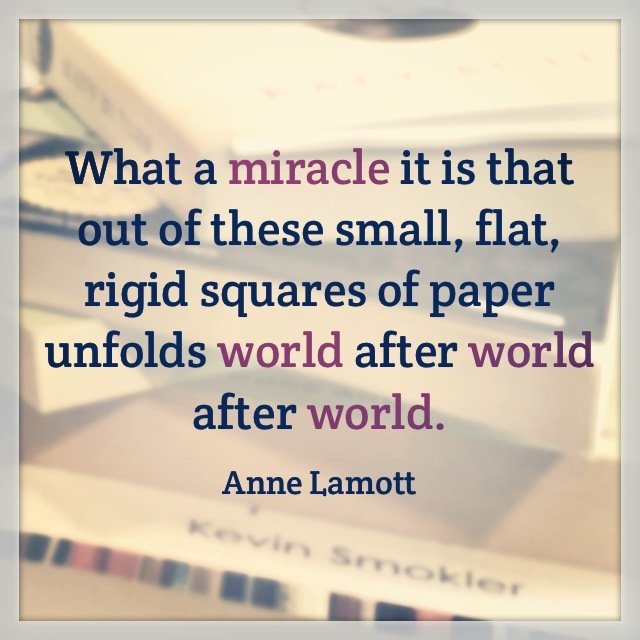 Anne Lamott has written a number of great books, both novels and nonfiction. The one I’m most familiar with is “Bird by Bird: Some Instructions on Writing and Life,” which has been recommended to me (and perhaps some of you!) as a quintessential guide for writing, and life. She also penned the pictured words, which eloquently capture the awe I feel when I step into a bookstore or library and find myself surrounded by so many possible worlds.